I have been meeting the most wonderful RECEâ€™s in my new adventure; not only here in Windsor-Essex, but across Ontario. The excitement to stay connected with current information and knowledge and to network with each other is contagious. The understanding that they are so important in the brain development of the children they care for, through caring and nurturing relationships and the realization that they truly can make a difference in the lives of the children AND their families. 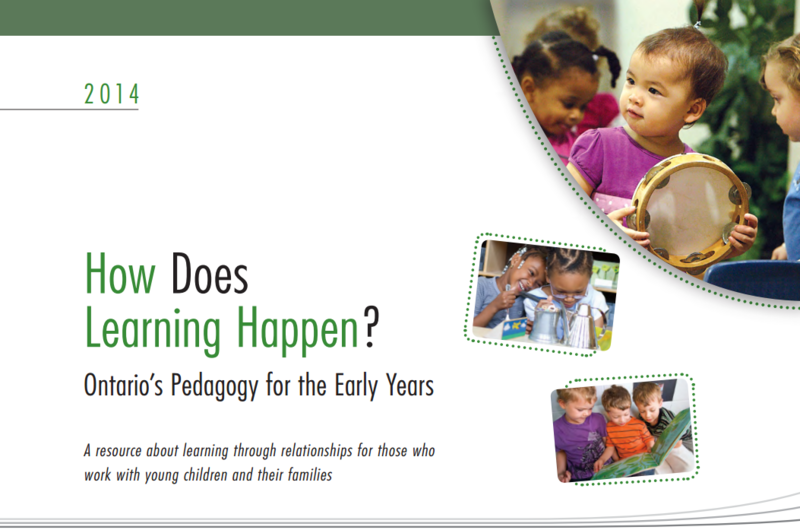 In pouring through the Early Learning For Every Child Today or ELECT aka OELF ( how can a document have so many names? ) we are on a journey of self-reflection that leads us back to where we started; Play, just play! As you may have seen on my Facebook page (Nature of Kids) there are so many articles and videos that offer support in helping parents and other professionals realize the value of true play supported, not prescribed, by an understand adult. To join in, and not just to watch, means that we can hear the wonder in the questions and the â€œahaâ€ in the discovery of the most magical but simple things this world has to offer. Also, the importance of play outdoors, is supported by more and more research. We have been avoiding outdoor play on many counts: too dirty, too cold, raining, snowing, and so onâ€¦.. the things that children love! Dr. Willy Krauthammer, Neuropediatrician has observed that there is no sign of children with ADHD in those who attend the Forest Kindergartens in Switzerland. A miracle? I think not! Reconnect children with nature and outdoor play, where their brains can learn and â€œworkâ€ in a way that they cannot do indoors.